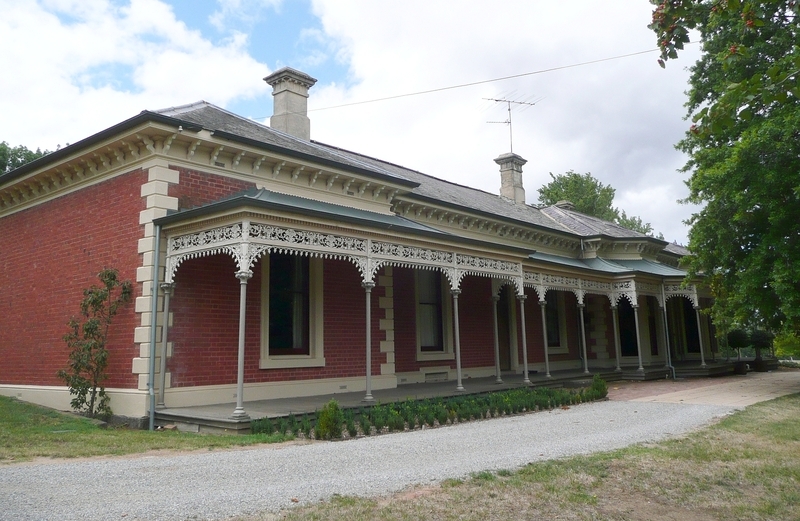 St Agnes' stables and cottages, Calder highway, Kyneton, is a large brick house erected circa 1872 for members of Salathiel Booth's family incorporating an earlier bluestone house of the 1850's. 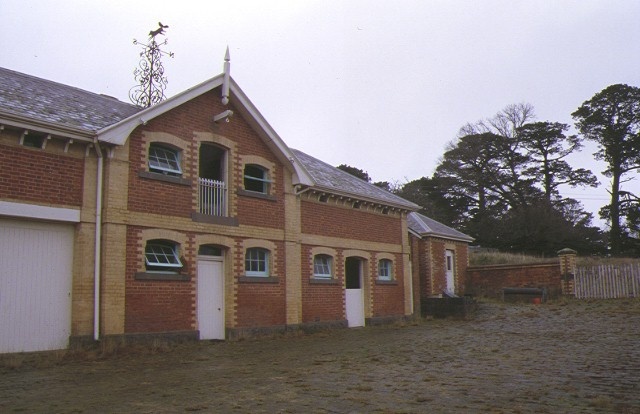 The stables date from 1876. 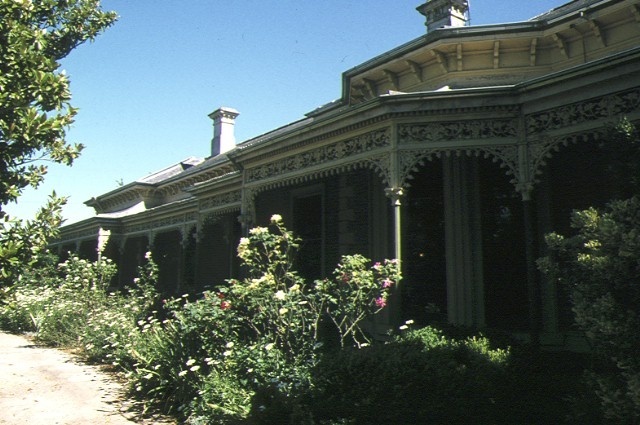 The asymmetrical, red brick house is characterised by its encircling iron verandahs. Roofs are slate and quoins, bay windows and chimneys are features. The brick stables have a central gabled section. St Agnes' stables and cottages forms part of the notable townscape of Kyneton, an important nineteenth century highway town. The house is a landmark on the Calder highway and forms an important contrast to nearby 'rock house'. Architecturally St Agnes is a typical but particularly substantial Italianate house, given particular importance by its size and internal fittings and for the complementary stables, cottages, and walls, all of which are most distinctive. St Agnes' stables and cottages are in good condition and are substantially intact. Shire of Kyneton. No.309.St. 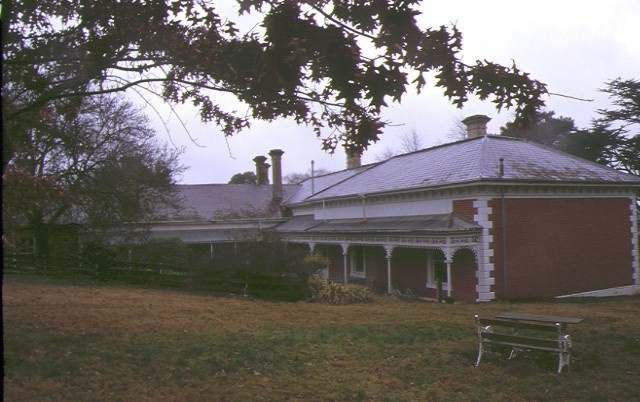 Agnes Homestead (Stables and Cottages), Calder Highway, Kyneton. 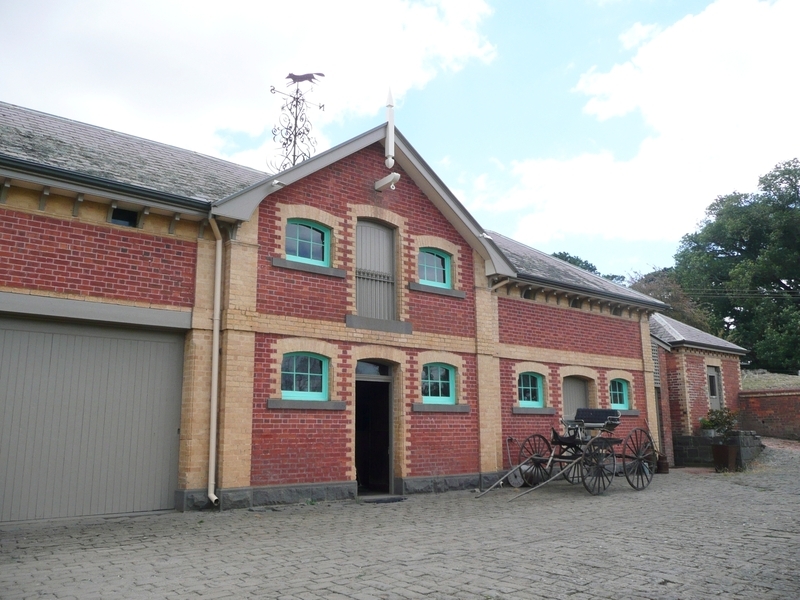 Former Kyneton & District Butter & Cheese Factory Ltd.